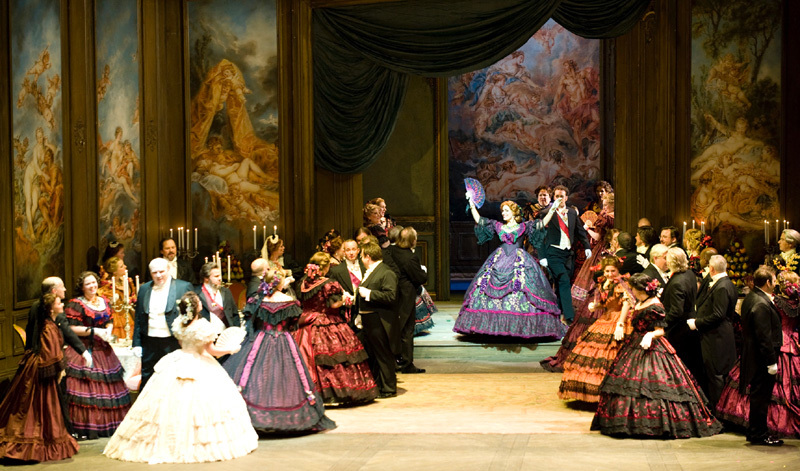 On April 6, Seattle Opera’s Young Artists Program will perform a unique Viva Verdi! concert. Following on the heels of a successful production of Verdi’s King for a Day—indeed, the Seattle performance at Benaroya Hall sold out—the Young Artists are ringing in the end of the 2012/13 season with a dynamic sampling of Verdi’s operas. Listen to the voices of our Young Artists on SoundCloud. The Seattle Opera Chorus and the Seattle Opera Young Artists Orchestra will join the Young Artists onstage. The concert will be semi-staged, meaning there won’t be sets and costumes, but you’ll be able to follow the stories because of the acting and supertitles. Here to answer questions about Verdi, the concert, and the origins of the “Viva Verdi” rallying cry are Peter Kazaras, the program’s artistic director, and Brian Garman, the program’s music director. What does the “man in the street” need to know about Verdi? Kazaras: The person in the street needs to know that Verdi's music is so special (as Verdi himself well knew!) that when he was preparing the premiere of Rigoletto at the Teatro La Fenice in Venice, he made sure NOT to give the tenor the famous 3rd act aria, “La donna è mobile,” until the dress rehearsal. He knew that once the tenor sang it in rehearsal, the gondoliers would have it memorized by the time the performance was over. And according to legend, this is precisely what happened! His music is irresistible. And you will hear “La donna è mobile” in our concert…but not if you stay in the street! What does Verdi mean to you? Garman: No other composer understood the human voice as well or wrote for the voice as well as Verdi. He was a consummate melodist; no one else (except for Bellini, perhaps) was able to take a simple musical element—a scale, for example—and so easily spin it into a dramatic or heartbreaking melody. Above all, he was a man of the theater, and almost every bar of his operas is written with the drama in mind. Who made the musical selections and how? Kazaras: Brian Garman and I both made the musical selections. It was really about fitting together the puzzle of which voices could do which pieces. For example, we have two mezzos in our current program—but there are not that many plum lyric mezzo parts in Verdi operas. Most of Verdi’s mezzo roles tend to be meatier and heavier, like Azucena in Il trovatore or Amneris in Aida. So we have pieces like Fenena’s beautiful aria from Nabucco, which is appropriate for a younger and lighter voice, and also the “Rataplan” from La forza del destino. The role of Maddalena in Act III of Rigoletto also works for a younger and more lyrical voice. In Dana Pundt, we have a soprano whose voice has point and agility—she was a perfect choice for Violetta in Act I of La traviata, and also for Gilda in Act III of Rigoletto. Our tenor, Theo Lebow, is an elegant and beautiful fit for the roles of Alfredo and the Duke. Hunter Enoch will sing the excerpts from the role of Rigoletto and also Rodrigo from Don Carlo. Our bass Matthew Scollin will be a sinister and elegantly sung Sparafucile in Rigoletto. 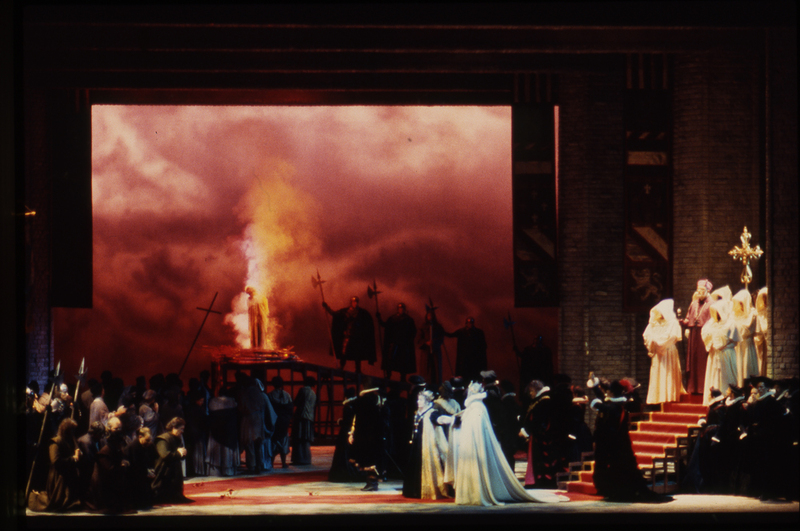 Don Carlo is a beautiful and unforgettable work, and the Garden Scene in Act III is one of the more lyrical sections of the piece. So we have programmed that to give our audience a taste of this great piece. Also, because we have the wonderful Seattle Opera chorus at our disposal, we have programmed pieces such as the famous "Va, pensiero" (The chorus of Hebrew Slaves) from Nabucco. This beautiful and moving chorus has long served as a sort of unofficial Italian national anthem. Once you hear it, it’s easy to understand why. What do the Young Artists stand to learn from spending a year with Verdi’s music? Garman: It’s great for the Young Artists to be able to perform this music. There’s so much that can be learned from Verdi about language, phrasing, musicality, theatricality, and of course, singing. There are places in the music of many other composers where you can “hide.” But you can never hide in Verdi: you always have to really sing. 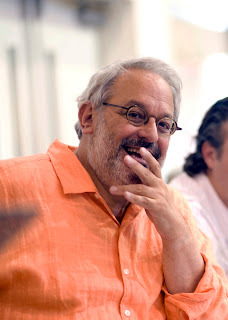 Kazaras: By working on Verdi for an entire year, our singers continue to learn how to shape a line, how to sing with a beautiful legato, how to use the Italian language to convey emotion, how to make their techniques responsive to the wonderful and inspiring challenges posed by Verdi. There’s no one like him for that! And remember that one of our Young Artists is Christopher Lade, a pianist and conductor-in-the-making. I am sure Christopher would tell you that a year of working on Verdi is like balm not only for your musical soul but also for your musical skills. Can you say a little bit about the participation of the Seattle Opera chorus? 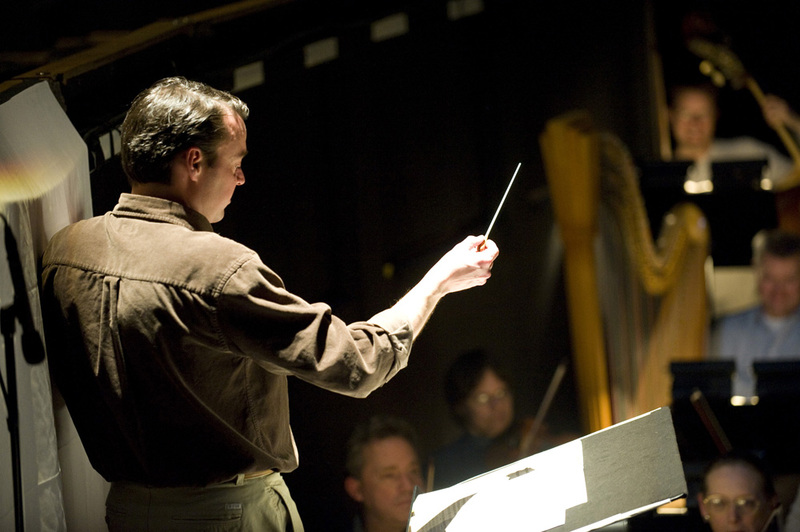 Garman: It’s very exciting that the Seattle Opera Chorus will be joining us for this concert. I conducted them in McCaw in La traviata back in 2009, and I’m delighted to work with them again. I’m also excited about our continued work with the Seattle Opera Young Artists Program Orchestra. To my knowledge, we are the only Young Artists Program that has a professional orchestra that plays specifically for us and bears our name. So collaborating with these two excellent ensembles will be a wonderful way to end our season. Kazaras: The excerpts from La traviata and Rigoletto would not be the same without the chorus—how fantastic to be able to hear the male chorus perform that incredible “storm effect” in Rigoletto! We would never be able to consider such pieces unless we had a top-notch chorus on hand, so this gives us a rare chance to showcase the great Seattle Opera chorus as well as our Young Artists. 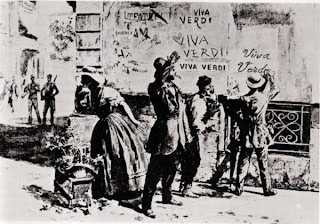 What’s behind the title “Viva Verdi”? Kazaras: “Viva Verdi!” is a rallying cry both in music and in politics. 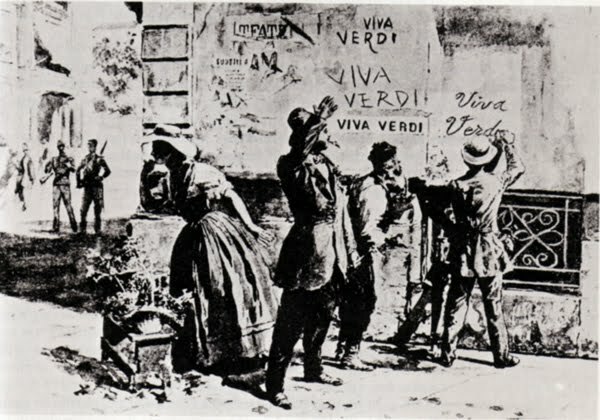 As 1861 approached, the date of Italian Unification under King Victor Emmanuel, legend has it that audience members began to cry, “Viva Verdi” at performances of Verdi operas, but their acclaim contained a coded message. They were not just applauding Italy’s greatest composer, but were also crying, “Viva Vittorio Emmanuele, Re d’Italia!” or “Long live Victor Emmanuel, King of Italy!” The abbreviation of this was, of course “Viva V.E.R.D.I.”! Bravissima Dana Pundt, best Violetta!